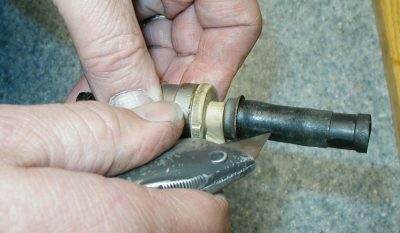 Take a sharp utility knife and cut down the hose as shown. The sharper the blade the better. Don't press too hard or you will score the injector. 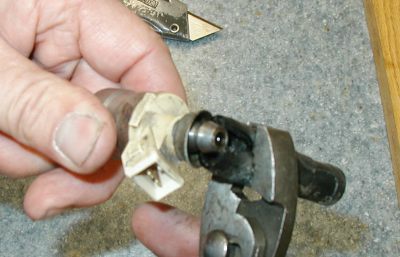 Continue the cut all the way down into the ferrule. 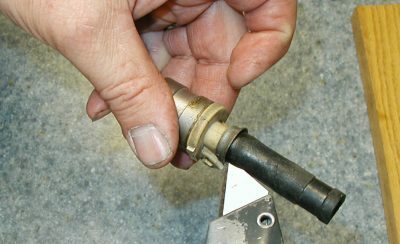 Grab the hose with some pliers about an inch from the bottom and bend the hose. You may find that you need to cut the hose more. 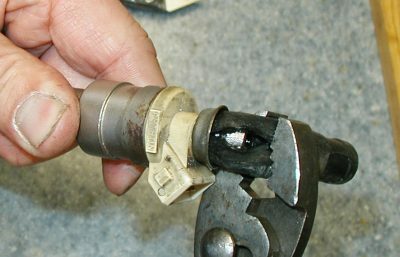 Continue bending the hose and it should come off.